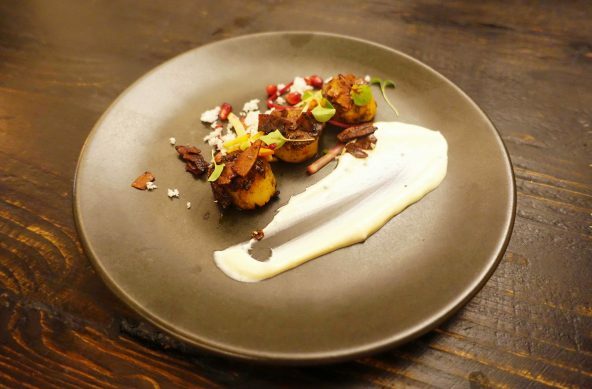 Indu is a high end Indian restaurant located in Wynyard right on the cusp of the business end of George St, it’s downstairs next to Angel Place and has been a very busy and popular venue ever since opening in 2015. 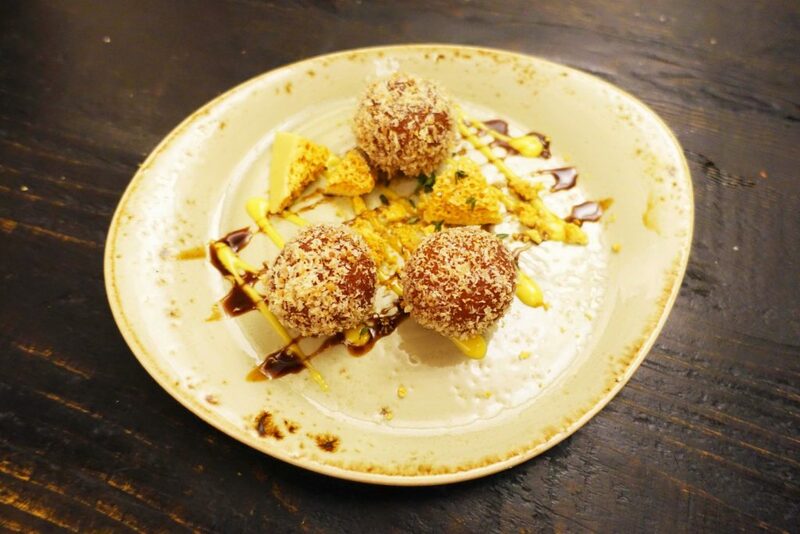 Indu is the second major venture by the minds behind Mejico restaurant located just around the corner. 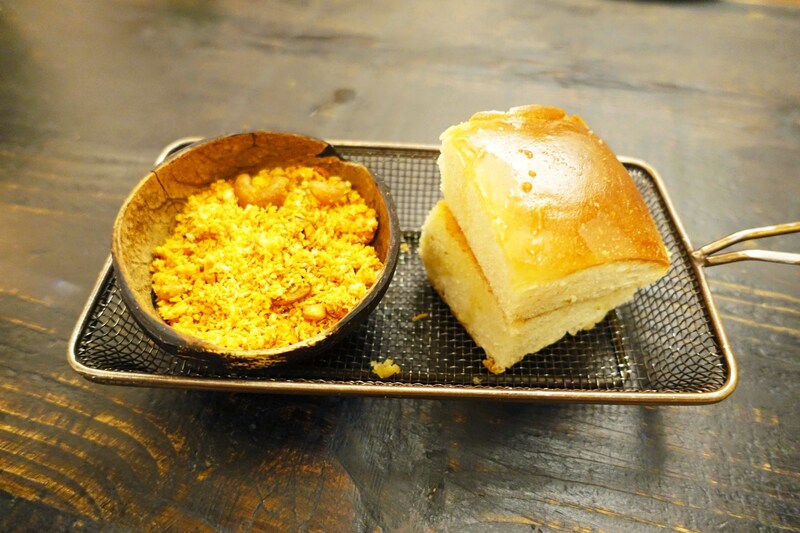 For this particular meal, we had the pleasure of dining at Indu courtesy of the online booking system, Dimmi. To start off the extensive feast we were served the ever popular seared scallop dish along with the coconut sambol starter, both dishes had a nice kick and are full of flavour. 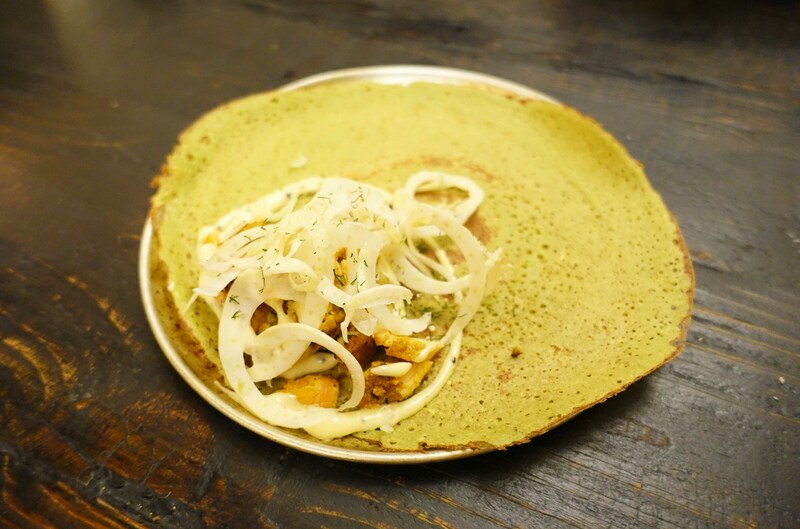 I love seeing coconut being used as such a staple ingredient on the menu at Indu, I simply love the taste of coconut. Indu has two kitchens, the one at the front is dedicated to churning out delicious Dosa with various types of toppings. I learnt that the standard way of eating these is with your hands by ripping pieces off and picking up the toppings. 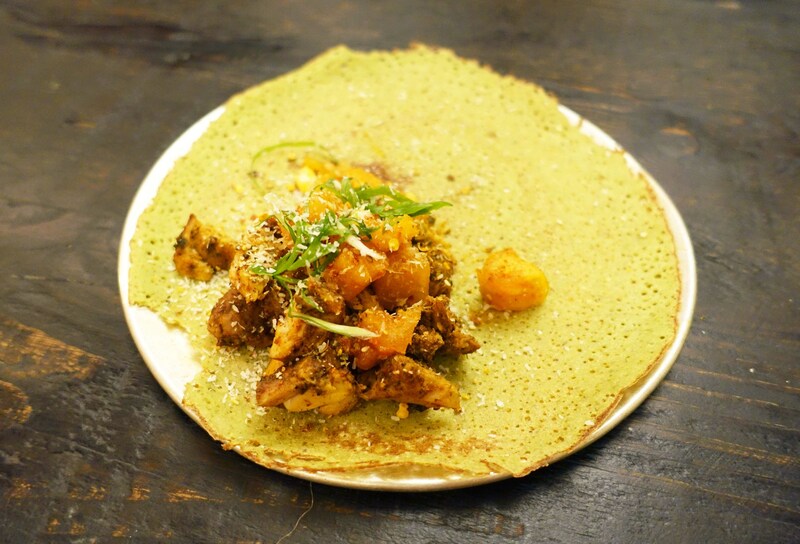 I quite enjoy the Dosa and they’re actually one of my favourite dishes at Indu. The deviled beef cheek is the spiciest item on the menu at Indu and those who had any doubts when it first arrived on the table were quickly proven wrong, it’s definitely one of the spiciest dishes I’ve had in Sydney. 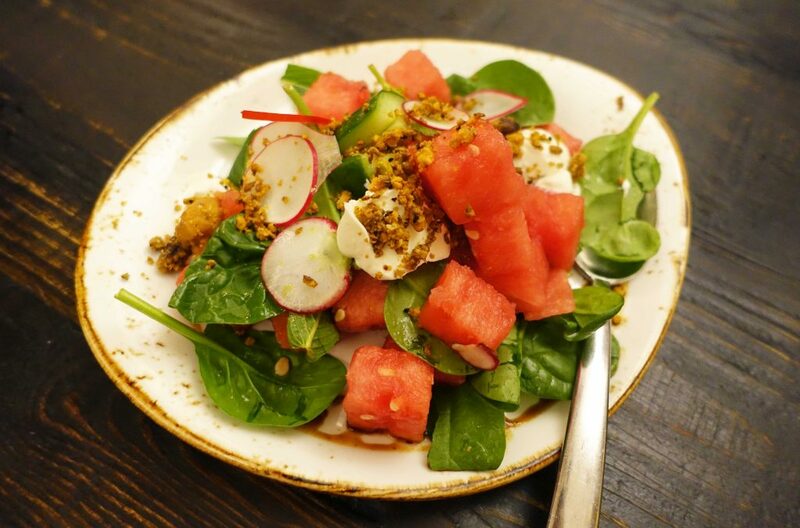 Luckily for us, the watermelon salad was served at the same time and the yoghurt dressing was a lifesaver. 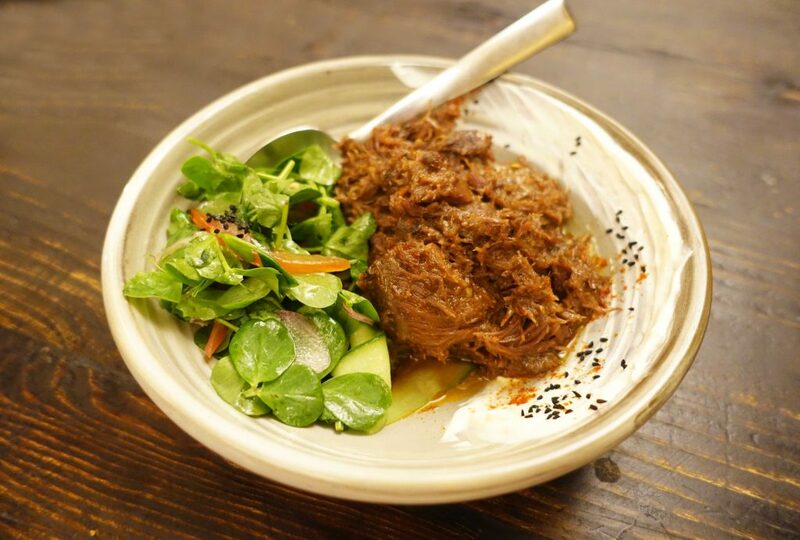 The signature dish to order at Indu is The Great Lamb Raan, it’s a generous chunk of melt in your mouth lamb which just simply falls off the bone. 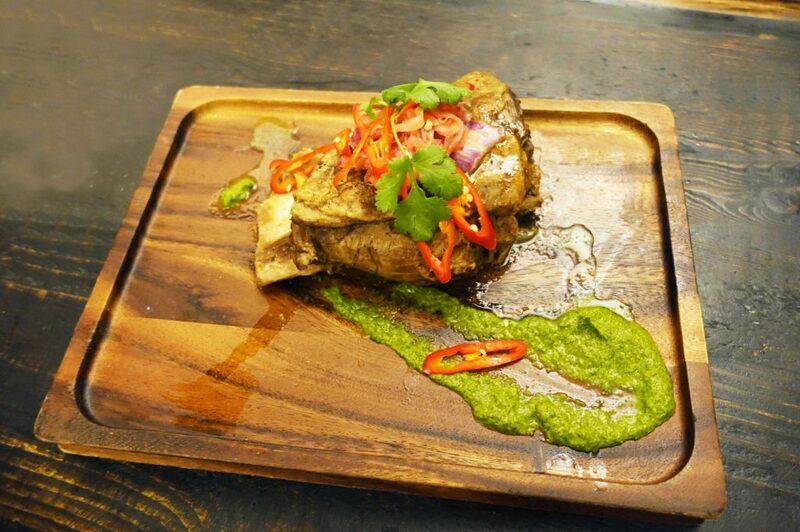 The choice cut of meat is cooked to perfection and served with chillis, mint chutney and lunumiris on top to give it some kick. The main dishes also came with a number of smaller sides including my favourite lemon rice which is surprisingly fragrant and tastes just as good as it smells. 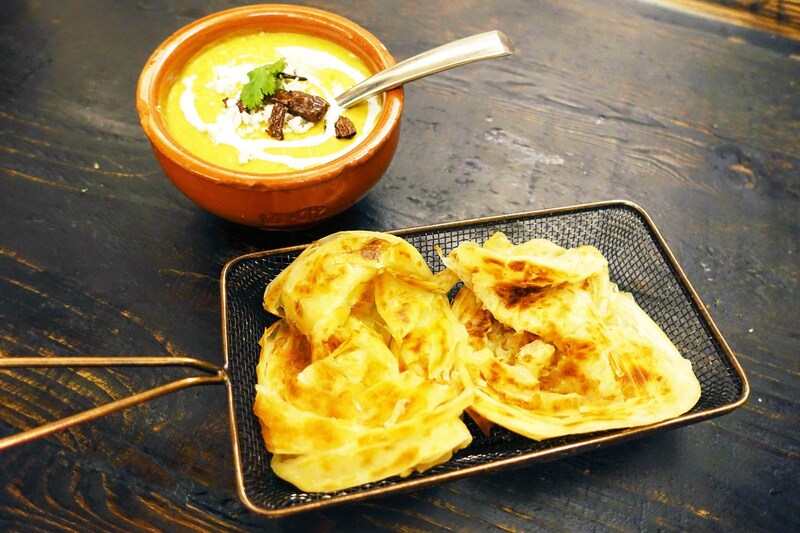 The paratha, crispy dosa and daal served on the side make for great variety during the main course. To finish the meal we were served the gulab jamun and watermelon popsicle, these were my two faovurite desserts so I was glad to see them being served. 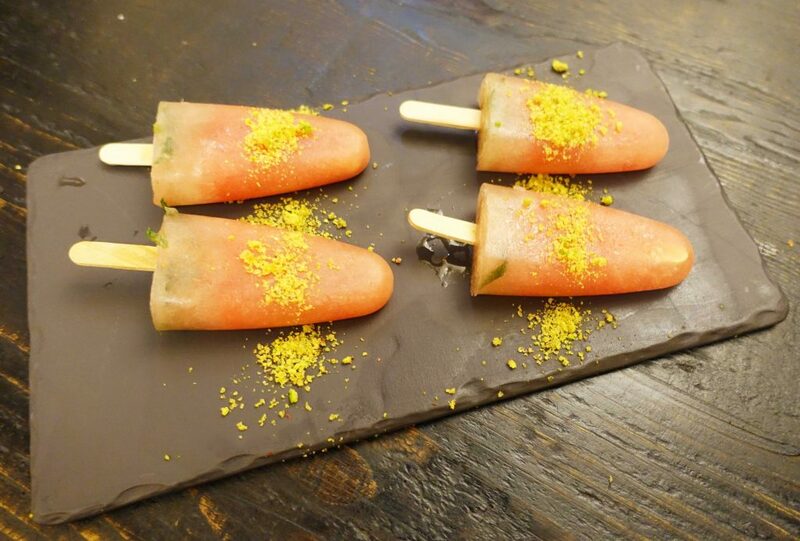 The gulab jamun is very sweet but delicious and the watermelon popsicle is the best refreshing way to end a meal very heavy with flavours. This is the second time now that I’ve visited Indu and I can now safely say that the restaurant has consistently provided me with a memorable journey through Indian cuisine both times. 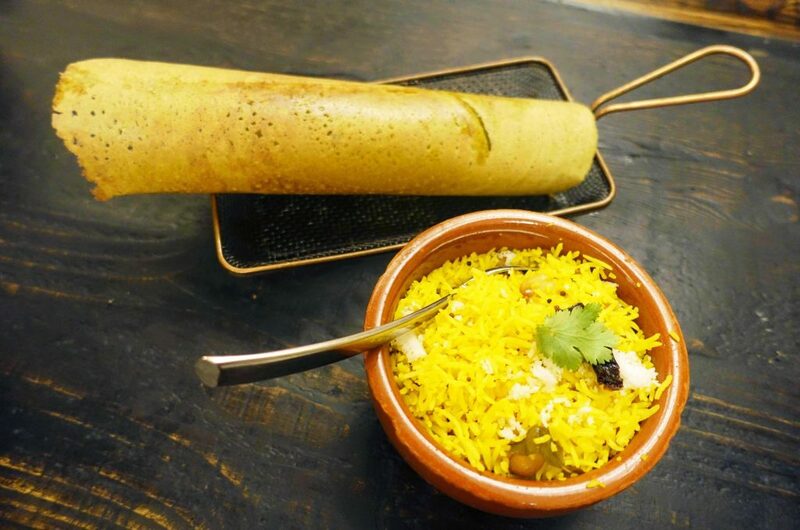 The food isn’t exactly traditional Indian cuisine but innovation makes for amazing food whilst keeping true to Indian flavours, the venue is atmosphere, moody and relatively quiet for a compacted space. The Food Diary dined as guests of Indu, Dimmi and Kate & Co PR.